This month's theme is Blunder! Gaming military mistakes and blunders. Neil Smith introduces our theme this month, using rules examples and moments from history to draw us into the world of the ‘blunder’. Phil Lewis looks at creating 28mm German Paratroopers for a range of different theatres. 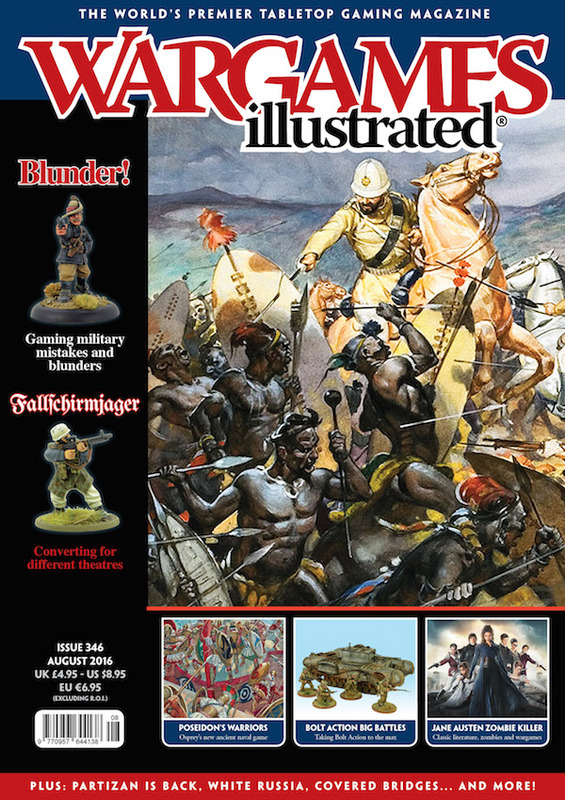 Doomed heroism and the tabletop wargame, Anglo-Zulu War style. How to ‘go large’ with this set of World War Two rules. What are the practical things needed to wargame various styles of ‘blunder’ on the tabletop? Nick Buxey looks at the creation of two key buildings that provide a focus for a particular couple of battles. 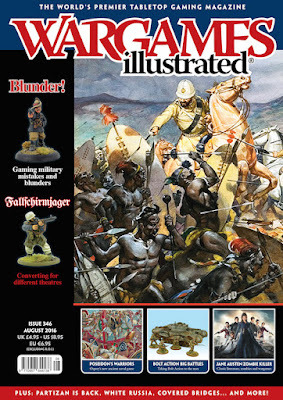 In recreating the disaster at Adwa in 1896 on the tabletop, Pete Brown provides a scenario which can be used for various blundering situations. Paul Davies presents his latest model making project. Prolific games designer Sam Mustafa presents some ideas dealing with ‘blunders’ within some of his rules systems. Simon MacDowall shares his experience and expertise of wargaming one of Europe’s greatest Eighteenth Century battles. A round up of this ‘revived’ show, bigger, better, brighter! Sometimes, classic literature and modern cinema can be blended to create a whole new gaming genre – Georgian zombie hunting, anyone? Ramming speed! Rules author John Lambshead provides an insight into this new set of Ancient naval warfare rules. A look at the range of internet locations where Flames Of War gamers can find interesting content. The latest in our feature looking at the UK club scene, this time at a club which owns its own premises. Pete Brown ask questions about a topic which vexes many and leaves others completely cold – do we have the right to demand that others have the ‘right stuff’?